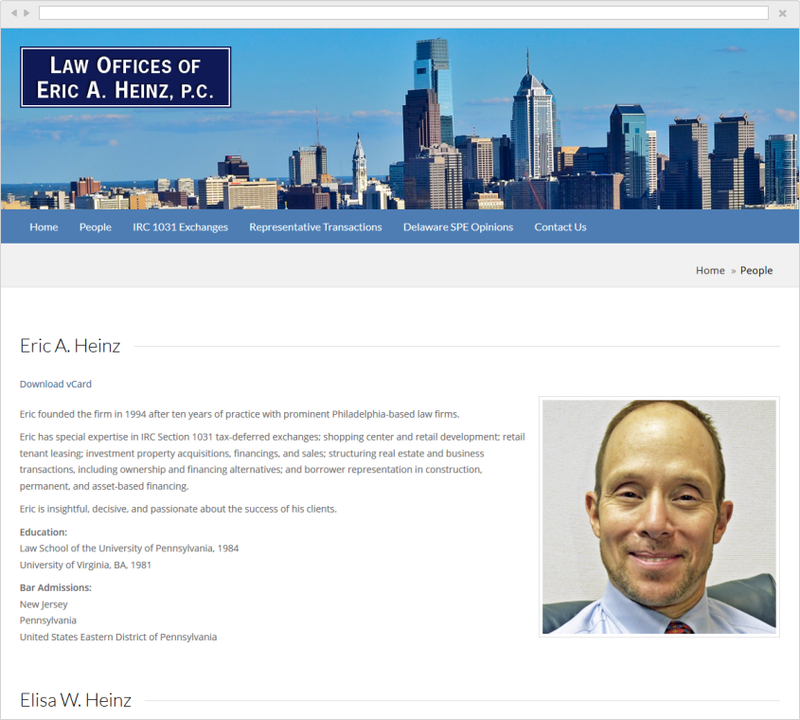 Heinz Law is a Philadelphia based law firm. 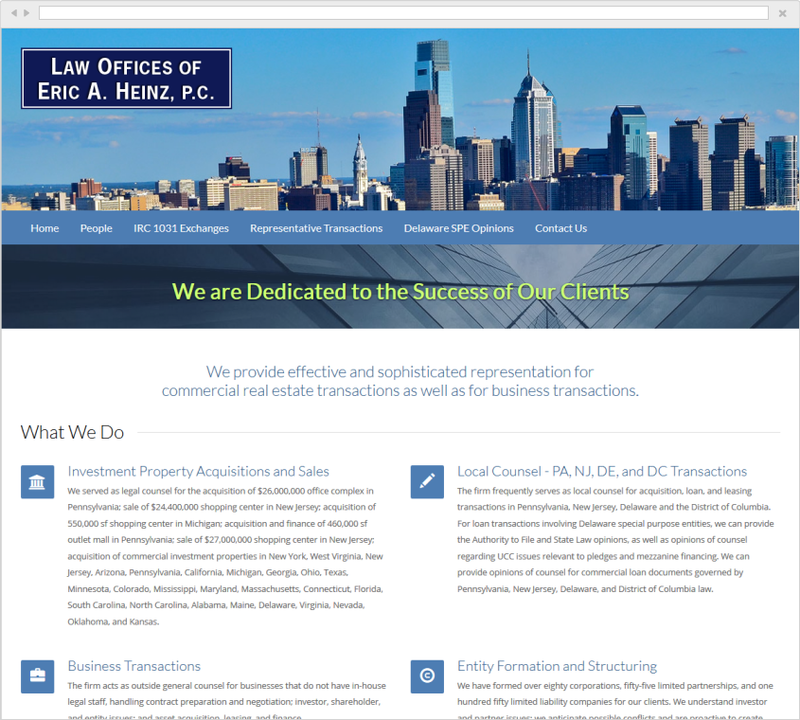 They provide effective and sophisticated representation for commercial real estate transactions as well as for business transactions. Their clients are investors, small to mid-sized businesses, and entrepreneurial individuals who desire strong advocacy. 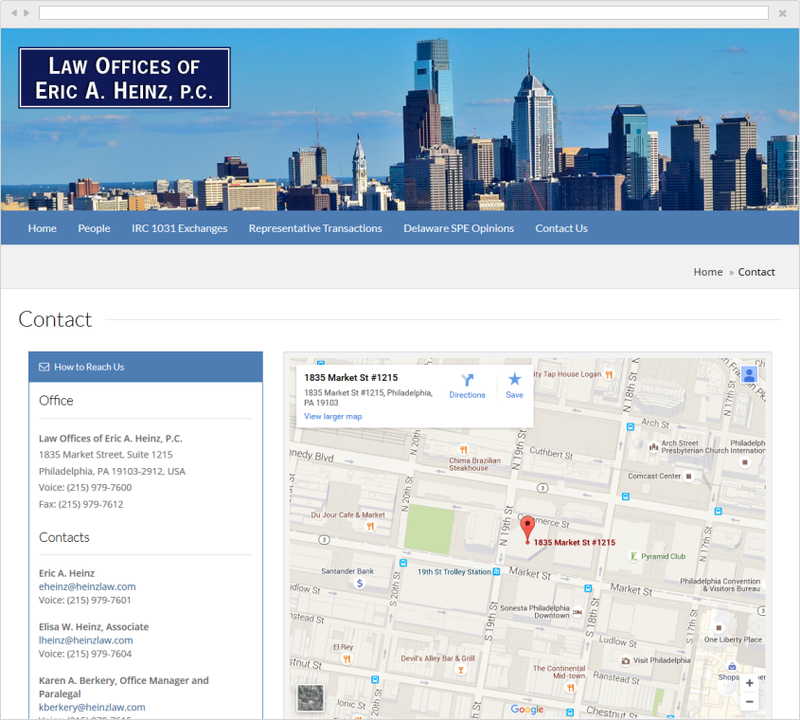 Heinz Law wanted to update their existing website to give it a fresh look and make it mobile-friendly. Vega implemented a templated solution so as to meet the Heinz Law budget constraints.